tion to our charity effort and help our communities back home in Bihar and Jharkhand. local doctors in 85+ developing countries to provide 100% – free cleft repair surgery in their communities. 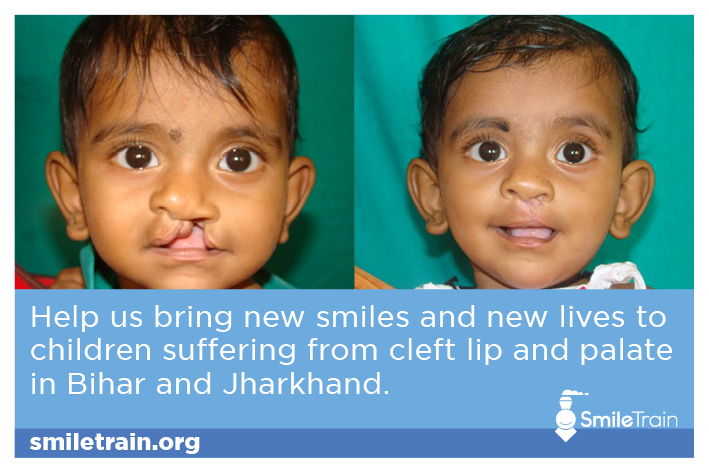 an estimated 37,069 cleft births in India each year, there is still much work to be done. Let us contribute towards smile!